There is nothing fiercer than competing in today's job market. Having just a college degree simply doesn't cut it anymore. Many people struggle with breaking into their dream startup position or fear they may not have enough extra technical skills to keep up with today's tech giants. Whether or not you have all the years of experience or desired skillsets spelled out in the job description, I am going to show you how to ace your interview for today's business and tech jobs of 2013. You probably already do your due diligence before the interview, but do you know all the smartest way to research? Browsing through Wikipedia, the company's home page, and the annual reports is a good foundation to learn basic information such as who is the CEO, the company's worth, the number of employees worldwide, etc. Yet, why don't you refresh your research method and give your tired eyes a break. Opt for YouTube instead. Most companies have their own YouTube channel and it's a rich resource to consume information about your potential future employer in an engaging way. YouTube may have commercials about the employer's product, interviews with the employer's management, footage from conventions, informative videos explaining how the employer's products or business models run and other insights that may not be on the company's website. Some YouTube videos even go as far as to explain the hiring process at the company and offer preparation advice. For example, Google hosts several videos on YouTube demystifying their specific hiring process through use of Google Hangouts. In addition, if you stumble across jargon or specific skillsets in the job description with which you are unfamiliar, search that information in YouTube for a more visual learning experience. You will most likely retain and remember visual or audio information that you learned from watching YouTube. Alternatively, if you are preparing for a phone interview, take plenty of notes from your research whether it's from video or text. Always have your notes sprawled across your desk and ready when the phone rings. After researching the employer, think hard about the product, process or service that they are promoting. If it's a product for the everyday consumer, do you use the product? Try using as many of their products as you can. Think about how you can improve that product whether it is a user interface or a tangible household item you can purchase at a retailer. How do the competitor products perform? Depending on the position and the firm, some hiring managers may ask you what you like or do not like about their products. If you're already using a product and thinking of ways to improve it like an actual employee, hiring managers will not only notice your invested interest but also how you think. Next, try to understand the company's core business processes. If you're applying to a position in HR for example, the staffing team follows a very specific process to recruit the best and most qualified talent. Show the hiring manager that beyond the listed roles and responsibilities, you can contribute additional value by brainstorming ways to improve key processes. 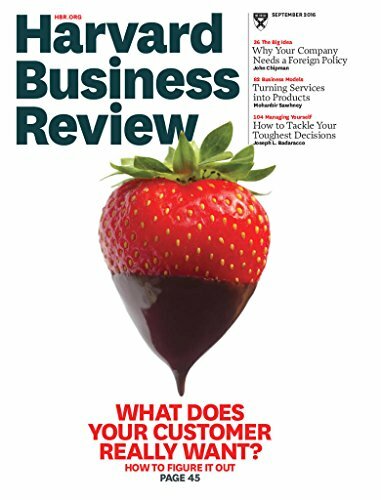 A great resource for researching business models and processes is Harvard Business Review. Many companies also list case study examples on their website. Finally, some companies provide services to customers or other business clients. Research their methods in delivering excellent service. There are tons of case studies centering around successful customer service and companies that specialize in services or consulting(think Amazon, Box, McKinsey & Co., etc.). The meat of your interview will be centered around your résumé, previous accomplishments and takeaways. The most important part of answering questions related to your résumé (which I cannot stress enough) is to marry a great story with the quantified results from your achievements. Hiring managers love data because no one in the entire world can dispute facts and numbers. Measured goals shed tremendous insight regarding the impact of your results on the project. If you have less measurable accomplishments, start crafting a great story that recalls your leadership and interpersonal skills. Hiring managers will almost always ask "tell me about a time" questions which are the springboard for your storytelling. To effectively answer these questions, first provide a brief background context, state the problem, explain your approach and method of action, and conclude with the results (quantified if you can!) or lessons learned. For example, if you're in business, think about how you contributed to either reductions in cost and time or increases in savings and revenue. If you're in engineering, did you design a tool or automate a process that increased efficiency by X amount that can also be used crossfunctionally? If you're in marketing, by what percentage did you increase customer growth and sales? Start to think about your accomplishments in numbers. If you don't have many measurable achievements, alternatively tout any management or leadership experience. Did you lead teams of people or step up to the plate when no resources were available? Did you come up with great ideas and either turned them into actions or tools on your own? Did you identify a need or opportunity that was overlooked by the management team and implemented a solution? These are certainly not numeric results but they showcase your entreprenurial spirit, independence, creativity, and drive. For those of you who are applying to a job and do not have all the desired experiences or skillsets, tell a great story. Maybe the job requires SQL and you've never used it on the job before. If you taught yourself SQL or invested money and time into a SQL class, tell that story! That story shows dedication, commitment, hard work and a "go-getter" attitude towards learning. Hiring managers find stories from people who personally and actively seek opportunities to grow very impressive and a testament to their work ethic. Another example is if the job wants SAP skills but you have Oracle skills. The skillset isn't a direct match but you can explain the similarities and how your proficiency in Oracle will give you an edge in grasping SAP very quickly. Wherever there is a deficiency in your résumé, promote your hard work ethic, demonstrate an action plan on how you will learn the new skills and provide evidence of a successful learning track record. Interviewing today is not easy and it may require you to go the extra two, three or five miles to stay ahead of the curve. However, that extra effort you put into researching, understanding the company's business model and preparing your interview story may make all the difference between landing that offer or slipping through the cracks.